We have a fantastic all day demo scheduled for Friday, May 4th, beginning at 9:00. The demonstrator is Dixie Biggs. 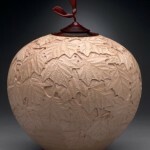 Dixie Biggs lives in Gainesville, Florida, and has been a full-time studio woodturner/artist since 1989. Having a background in biology from the University of Florida and a love of gardening, much of her work incorporates a botanical theme. 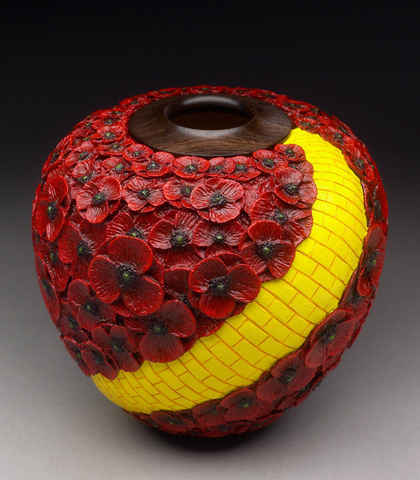 She has exhibited her work in such notable venues as del Mano Gallery, Smithsonian Craft Show, American Craft Exposition and Philadelphia Museum of Art Craft Show. Her work is in many public and private collections worldwide. 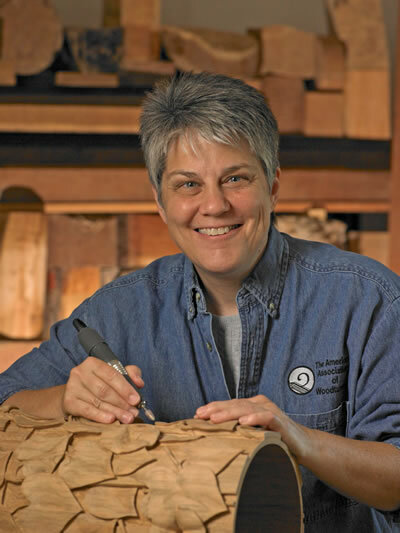 She has demonstrated at regional and national symposiums, including Australia, the Utah Woodturning Symposium and the American Association of Woodturners. 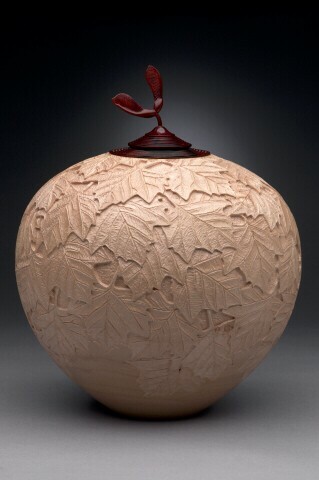 The woodturnings of Dixie Biggs combine the highest craftsmanship in both her selection of materials and in their shaping on Dixie’s lathe. 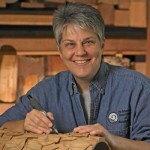 The intricate carvings that cover the surfaces of many of her pieces are inspired by nature and are not mere embellishments but seem an integral part of the particular piece of wood she is focused on as she works, unlocking classic, balanced forms from rough logs which she seems able to see into from the first time she touches them. She will begin the demo by demonstrating several easy surface embellishments using tools many already have; such as dremel and engraver. 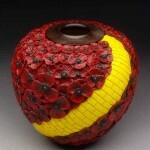 She will then show how to enhance pieces with the use of dyes, grain fillers and colored waxes. She will then progress to rotary power relief carving techniques. She will take you step by step through her process from layout to detail carving. It is not often we get someone with Dixie’s talent for a demonstration to our club members. This is truly a onetime opportunity. The cost for this demonstration is only $30. The only way we can continue to offer these types of demonstrators at these prices is for our membership to participate. We need you to sign up for this demo. Usually we have a meeting scheduled right before the demo. This time we are short that advertising opportunity. If you would like to attend, please notify Eric Lofstrom or Dan Stromstad. You can see more of her work on her website dixibiggs.com. Again, this demo is scheduled for Friday, May 4th.